Welcome to the Eastbluff neighborhood in La Jolla. Located next to the Southpointe La Jolla community is a small townhouse neighborhood known as Eastbluff. Buyers have the option of purchasing either two or three bedroom townhouses here. Two bedroom units start at 1,031 and go up to 1,438 square feet. Three bedroom units are much larger and go up to 1,738 square feet of living space. One of the nice features of these homes is the open floor plan with soaring ceilings that gives the illusion of more space. Homes come with attached garages and private outdoor patios. 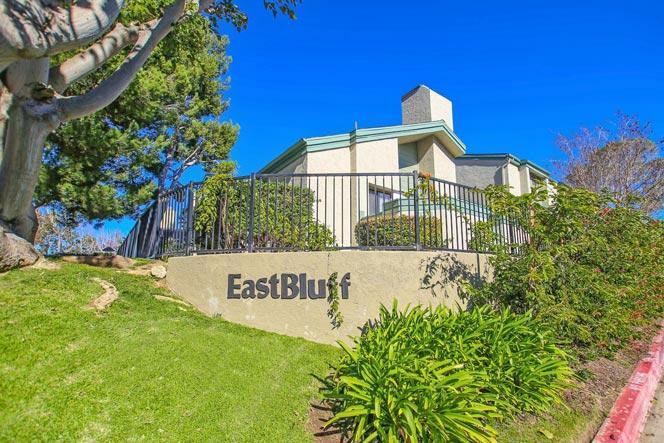 Homes in Eastbluff are typically shown by appointment only in this neighborhood so please contact us at 858-200-7562 to view homes in this area. When you enter the Eastbluff community off Via Mallorca street you will find the community pool as pictured below. 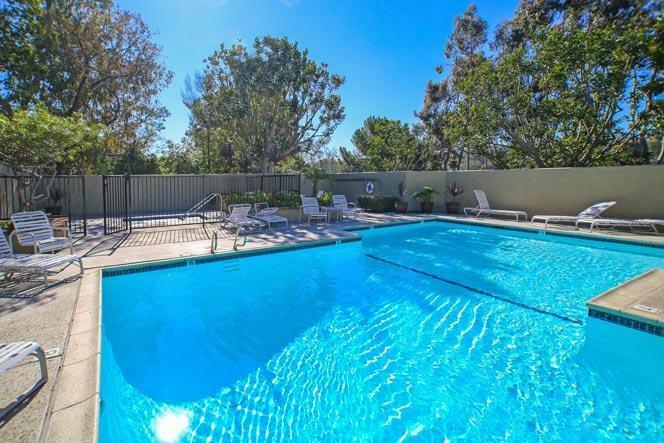 Residents enjoy this year around as well as the adjacent Villa La Jolla Park.